Earlier today I joined several candidates on the Ryan Jesperson show to make a two minute pitch for why Ward 10 residents should vote for me. 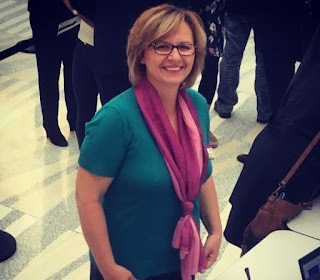 I wanted to take the time to elaborate on some of the reasons in a blog post so Ward 10 residents can get to know me and what kind of a Councillor I would be a little better. Unlike most of the candidates running for City Council this election year, I have NOT lived in Edmonton all my life. I moved to Edmonton a little over 6 years ago. Edmonton is the 9th city in the 5th country I have lived (and worked) in. I am not even counting the ones I have traveled to. I came to Edmonton for a visit back in 2005. It took me just 4 days in the city to see how much potential our city had and soon after I left I was already telling people around me, they should move to Edmonton. Over the years, I looked for a job specifically in Edmonton, and moved here when I got my position at the U of A as an Educational Developer. Why should it matter to you that I have lived in other cities (the likes of New York City, Istanbul, Prague, and others ranging in population of 40,000 people to 20 million people)? It matters because when our next Council is faced with problems to address and solutions to choose from in the upcoming term, I will have first hand experiences as a Councillor to highlight the things that worked for people where similar solutions were implemented, and the challenges they faced. That unique exposure, combined with by background in budget administration, IT and HR management, as well as extensive community volunteer experience makes me an ideal candidate for Council. I will be there to ask the tough questions, and challenge the proposed solutions. I believe the current residents of a neighbourhood must have the ultimate say in shaping the future of their communities. I won’t be one of those Councillors who go out doorknocking only during campaign periods. I will be there at every opportunity to hear your concerns and your vision for your community. And I will of course be the independent voice to advocate for your vision. My campaign is solely financed by individual donations, and my own funds. I have not received and will not accept donations from developers, or any other corporation that does business with the City of Edmonton. Running a campaign with individual donations means I can maintain my impartiality at the Council table, and that I won't be afraid to demand more from the developers as they set their sights to build new suburban communities. As things stand now, Ward 10 residents living in the newer communities in Ward 10 are dealing with roads never built (to accommodate the full load of the communities) and are in constant fundraising mode to try to build a playground, or a community hall. We can and should be demanding more from the developers. If there are legislative barriers preventing us from demanding more, it is our job as Councillors to work with the Province to change that. There is clear discrepancy between how well current Councillors think the City has been engaging with their citizens and how Edmonton residents perceive that public engagement. Clearly, citizens don't feel like they have been heard when it comes to the failed infill experience that has been pitting neighbours against neighbours, or the traffic problems caused by the LRT. They are frustrated and want to be heard. Edmonton has a strong history and culture of community leagues and is blessed to have engaged citizens who are willing to spend hundreds of hours of their time trying to tell the city what will and will not work in their community. I am ready and committed to tap the potential of those great volunteers, and concerned community leaders who know "what's best" for their communities. I will make sure the plan for the future of our city is built on their, on your vision. On October 16th, please vote for me, Sim Senol. I would love to be your next Ward 10 Councillor. Earlier this week, Mr. Marcelo Figueira, an urban designer and manager at Pario Plan Inc. asked me and the other Ward 10 City Council candidates, what we thought about Edmonton's Transit Strategy that was announced earlier this week. I didn't want to write a quick 140 character response on Twitter to answer Marcelo's question before I had a chance to at least skim through the whole 86 page strategy document (which can be found here). First I would like to thank him for engaging with me as a Ward 10 constituent (and also for being patient and waiting until now to read my response). I look forward to posting detailed answers to any other future question that's near and dear to the hearts of our Ward 10 (and #yeg) residents. 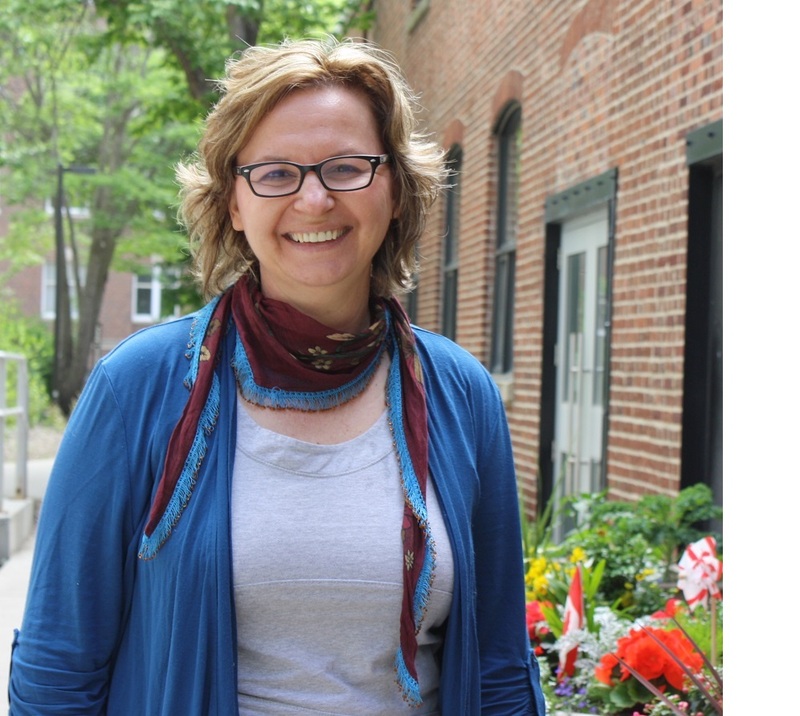 I believe that will help you better understand my priorities as a Council candidate, and make it easier for you to decide on whether I can represent your values and priorities at the City Council. As I was reading through the Strategy document in between prior commitments over the weekend, there have been a couple new developments related to the new transit strategy, that's worth mentioning. On Saturday, June 24th bus drivers from ATU Local 569 came together to rally against the new transit strategy. 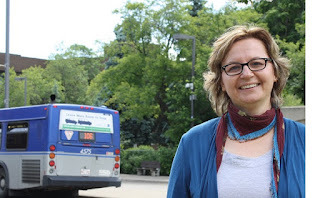 Progress Alberta, an independent, non-profit group dedicated to building a more progressive Alberta, also came out on Friday, with a detailed review of the transit strategy. Although they appear to be much more supportive of the new plan than the local bus drivers union, they also expressed concerns about one major area of the plan: i.e. privatization of the local/low ridership routes. As someone who lived (and commuted to work every morning) in cities like New York City, Istanbul, Prague, Poznan, Ankara, Bursa, Antalya, as well as small North American cities like Arroyo Grande, (CA) and West Lafayette (IN) I am well aware of the differences and challenges of providing service in a city like Edmonton. A lot of European cities have the advantage of much higher population density. They are walkable cities with established "centres" that are main "destinations". In a city like Edmonton, with such high percentages of "single houses" compared to some of cities I mentioned above, and the additional challenge of the harsh/long winters, we need to be realistic about what's achievable within a certain budget. From that perspective, I fully support the fundamental principles outlined in the new strategy. Establishing core service areas, with frequent bus service can also guide our future urban planning efforts. It will make perfect sense to encourage the type of "development" to increase population density on these routes. The routes will enjoy more ridership, and the city will easily be able to increase bus frequency on those routes if demand further increases in the future. In time (just like it happened in the many cities I lived before) certain areas of the city will emerge as natural locations appealing to a certain type of city resident (i.e. those who prefer to use public transportation). Similarly, offering "express service" to main transit centres or other "high demand attractions" from the outer suburbs will offer a more viable alternative to other residents who prefer to live in the new neighborhoods but could easily be convinced to leave the car at home if there was a viable alternative that could get them to their work faster and cheaper than driving themselves. OK may be not exactly faster (but at least in a comparable commute). I am not as concerned about the "privatization" option as the Progressive Alberta group, although I sincerely hope the council doesn't automatically think of "Uber" as the potential and only solution for this. There are alternative private solutions. In my native country of Turkey, we have a long history of utilizing what we call "dollmush". These are ride share solutions with established routes. I believe in socially responsible decision making. There are serious allegations and controversies surrounding Uber, so I wouldn't particularly be ready to jump on board to partner with them but I would be open to looking at other alternatives. We shouldn't be dismissing the bus drivers' concerns completely. They are the front line people interacting with the transit users. Hence, I think it's the responsibility of the "planners" to at least engage with them in a meaningful way to understand and hopefully address their concerns. Change is never easy, and never perfect. There will always be some growing pains, and adjustments along the way to fine tune a process, but overall I support the new plan. I encourage Ward 10 and other city residents to leave comments on my blog page. I would be happy to hear what you think.